The first thing to tell you about the new 2012 Lancia Delta is that you can’t buy one in the UK. But that doesn’t mean you can’t experience the feeling of driving one. 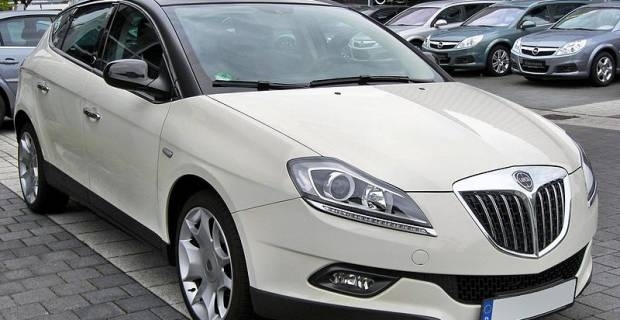 As there is no Lancia distribution network in the UK, the latest Lancia Delta (2012) is rebadged as a Chrysler. UK drivers get the same stylish reinterpretation of the Lancia Delta that first hit our roads in 1979, without the brand name they are used to. Lancia used to be a byword for style over substance. They were renowned for producing beautiful cars with poor reliability. Today their cars are far more reliable than they were in the late 1970s and throughout the 1980s, when the first generation of Deltas took to the roads and dominated the World Rally Championship. By contrast Chrysler’s brand is relatively new to the UK. It’s known for the Grand Voyager, which is the world’s best-selling MPV. They are a brand that celebrates the car industry, its people and their pride in their product. Consequently, the American brand with its ‘imported from Detroit’ appeal makes the Delta feel less sophisticated but more reliable. So perhaps the new 2012 Delta is more at home with the Chrysler badge. No matter what the badge, the Delta is the quality and luxurious mid-range car. It’s roomy, well produced and above all classy. All engines are turbocharged and each is produced by Fiat. There’s a choice of 1.4 or 1.6 litre petrol engines. Diesel options include a 2 litre option and a 1.6 litre, which is the best for day to day usability as it returns 60 mpg combined. The new Delta is a credible car. It's more reliable than its predecessor but what it gains in reliability, it loses in looks when compared to the Giorgetto Giugiaro designed original.